Beyond just another hotel, MeStyle Garage aspires to infuse ‘art’ into all aspects and areas, leaving no room for an absence of artistic injection. 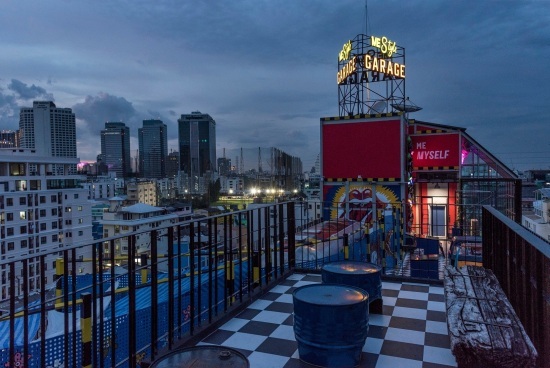 While staying in, unwind and relax at our café or hit the rooftop bar and soak in the vibes of Bangkok nightlife. Available throughout the hotel, seamless access to wireless Internet is provided to keep leisure and business travellers well-connected. Come empty. We will fill your tank! 53 SOI PAISARN, HUAI KWANG BANGKOK 10310, Bangkok, 10310.